The National Student Survey (NSS) is a national survey, which has been conducted by Ipsos MORI annually since 2005. This feedback provides us with a picture of what the learning experience has been like for students completing their course in that year. We are able to use the results to identify areas of strength and weakness. This information can be used to help effect changes designed to improve the student experience for both current and prospective students. More widely, the NSS provides information as part of the higher education quality assurance system. 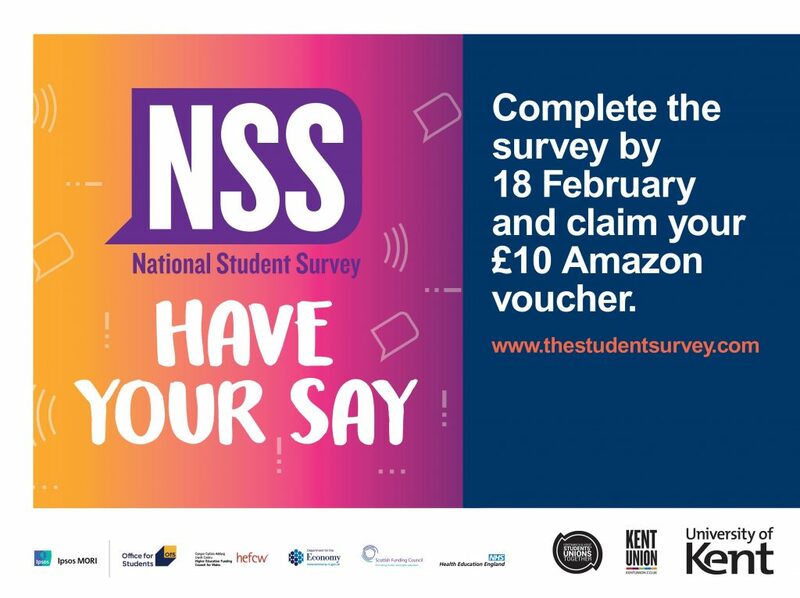 The NSS is commissioned by the Higher Education Funding Council for England (HEFCE), on behalf of the UK funding bodies and administered by Ipsos MORI, an independent research company and as a result all responses are anonymous. Eligible students are nominated by Ipsos MORI and will have been contacted directly. In most cases, the survey is available to final year undergraduate students. In some cases, students may be asked to complete their survey in their penultimate year. The School of English is offering an additional prize draw of a £50 Amazon voucher for those who complete the survey before Monday the 18th February. To enter the draw students must send their completion email to englishevents@kent.ac.uk. The winner will be selected at random and announced during the last week of February.